Having meetings and events in Siem Reap is a truly majestic affair. With such an amazing cultural background and so many mystical sights to explore, a conference in Angkor becomes an intriguing event. At Sofitel Angkor Phokeethra Golf & Spa Resort, we take your meetings as seriously as you do. Conveniently located fifteen minutes from Siem Reap International Airport, and just five minutes from the famous Angkor ruins, the resort boasts the largest meeting facilities in town. Not only do we offer the grandest hotel ballroom in Cambodia, we also provide an Executive Boardroom and two smaller meeting rooms. MICE planners will appreciate how flexible these meeting spaces are, accommodating anywhere between 10 and 300 guests. All meeting rooms boast high ceilings and are flooded with natural light. For larger events, the Phokeethra Ballroom is fully equipped with 400 square metres of space, making it the biggest hotel ballroom in Cambodia. It has a ceiling height of 7.2 metres, and comes with an additional pre-function area that has an area of 256 square metres. State-of-the-art electronic, sound and light technology, as well as built-in audio and a WiFi sound system will guarantee your meetings and events in Siem Reap are executed professionally. Moreover, this sophisticated hotel ballroom in Cambodia can be fitted with a LCD projector and screen, video conferencing facilities and translation booth facilities. The other meeting spaces are just as effective as the Ballroom for influential meetings and events in Siem Reap. The Naga & The Rainbow meeting rooms are perfectly situated to enjoy natural light and views of our magnificent pool. Both are 100 square metres and can be joined to create a larger space for a large seminar in Angkor. 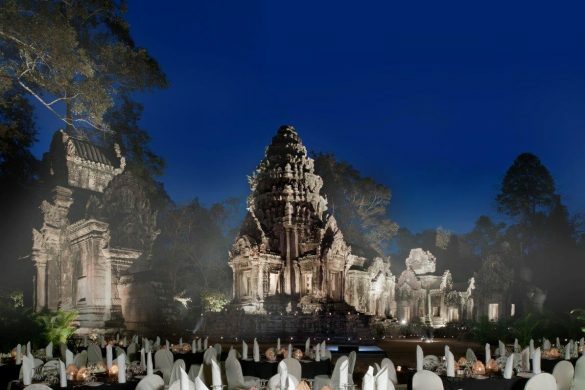 Our InspiredMeetings team of planners, chefs and concierges will meticulously tailor every moment of your event, from lighting and decor to culinary experiences to guarantee a memorable and rewarding conference in Angkor. Meetings and events in Siem Reap become that much more exciting with Sofitel Angkor Phokeethra’s other offerings. 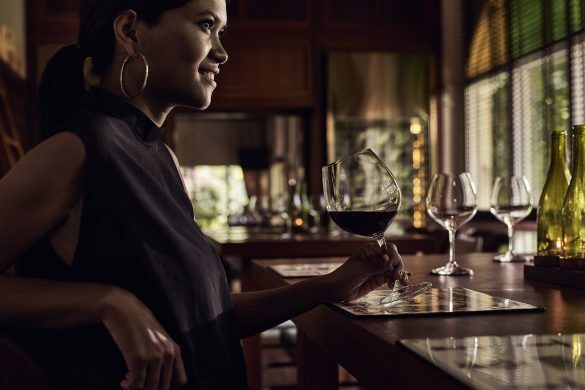 In addition to the four elegant meeting rooms, Sofitel Angkor offers seven different gourmet dining options as well as a world-renowned spa, a state-of-the-art fitness centre and the first international-quality 18-hole golf course in Cambodia. Our resort also features 238 rooms and suites showcasing distinctive French colonial style, with timber floors, double-height windows and wrap-around terraces; each enriched with period furniture, four-poster beds and hardwood floors. Should you decide to host a function with Sofitel Angkor Phokeethra, you can be certain of their success and rest assured that they will be among the most memorable meetings and events Siem Reap. Sophisticated meeting rooms that inspire and uplift. Elegant wedding venues that enchant and delight. Sofitel makes every occasion cause for celebration. Host your event at one of the magnificient temples which have stood for over 1000 years. As the sun fades, be inspired by our sound & light show as your event is brought to life. Leave the meeting room, and host your delegates at our Championship Golf Course. Enjoy tailored packages for your group with catering to accompany a round on the course. From room packages to So SPA retreats to restaurant promotions, take advantage of Sofitel Angkor Phokeethra Golf & Spa Resort’s unique offers to make your stay even more magnifique.